Arlene here with a good bye to February and hello to March. I decided to check out St. Patrick's Day and I'm ready for it. This card was a breeze to cut on the Silhouette. Using double-sided colored paper was a perfect idea, one has a striking pattern and the other is rather a a lightly washed green. 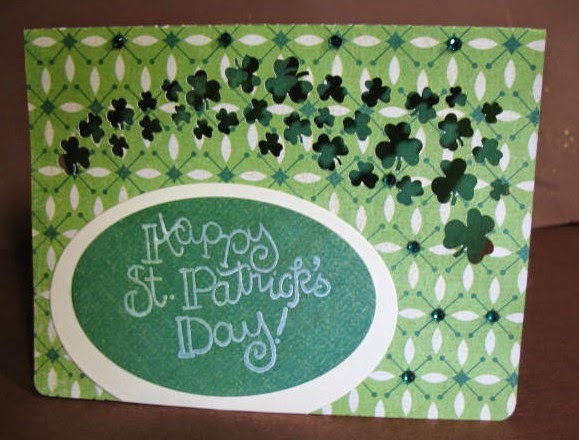 The green panel on the front of the card is what the beautiful color is on the inside of the card. Michelle has outdone herself and offers a Thank You card for our last post of February. A big Thank You to our marvelous sponsor this month. I personally am wild about this card. I have to say "Thank You" to Michelle. February is almost over. Can you believe that? It's gone way too fast. I had to use this Quietfire Design card base for a tree. I had the piece of green patterned paper sitting on my desk and now the tree has grass and leaves. I like the colors and found I like the stair step card a lot. The cutting files make it so nice and easy too. 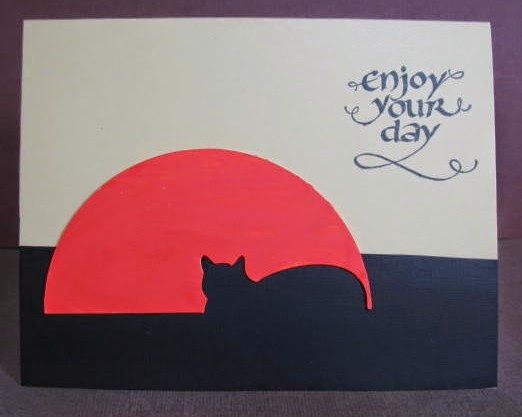 Cathie knows how to make the sentiment the focal point with this card! This is kind of a CAS card and I like the simplicity of it. 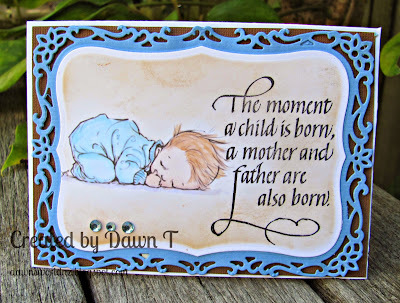 Wonderful sentiment from Quietfire Design. Cathie knows a star when she sees one. What a great guy card; What guy wouldn't want to receive this card? 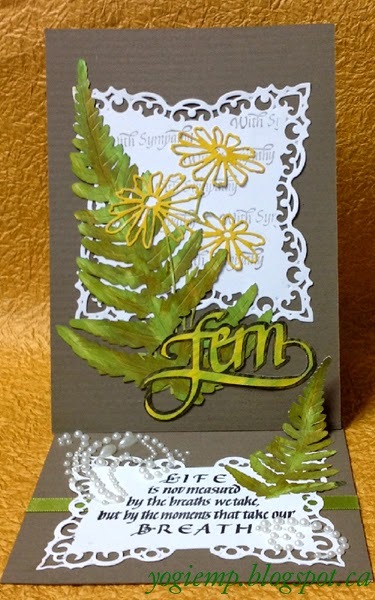 Hannah has created a beautiful CAS card for you. Hannah just cuts to the chase and produces a beautifully simple card. My Mom grows many herbs, So when I got the Parsley Sage Rosemary and Thyme stamp set I was excited to put it to use and the Ten Tiny Tag Sentiments are perfect for so many occasions or "Just Because"
It was hard to choose! The Style of Quietfire Design is Beautiful and the Calligraphy so elegant. 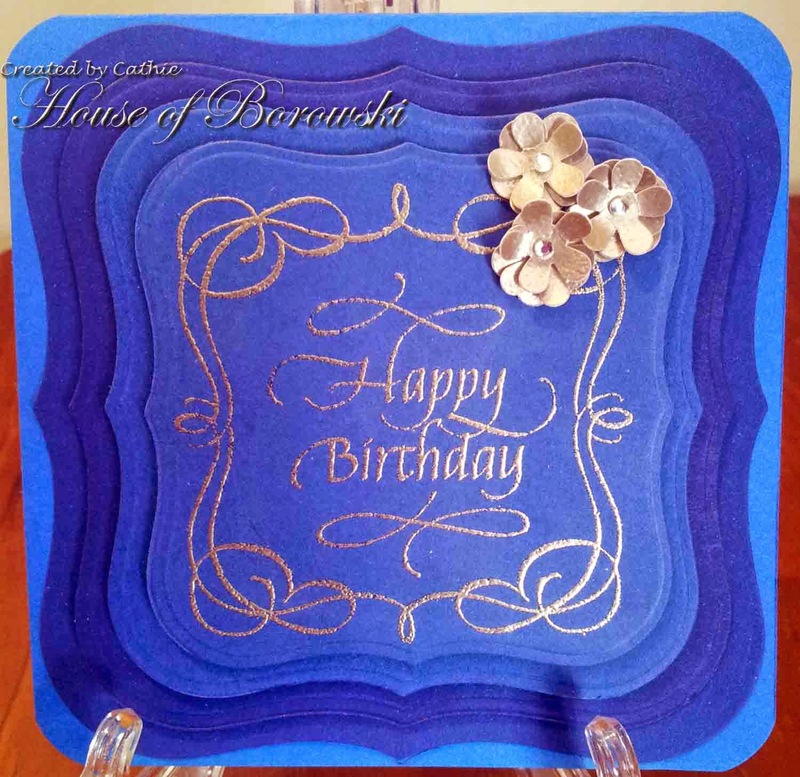 Dawn has created this precious card for us and she tells me she is absolutely loving QuietFire Designs sentiments. I can understand why, can't you? The sentiments are so beautifully done. What a lovely setting for a beautiful expression. Dawn takes the ordinary and makes the extraordinary. Thank you, Dawn. 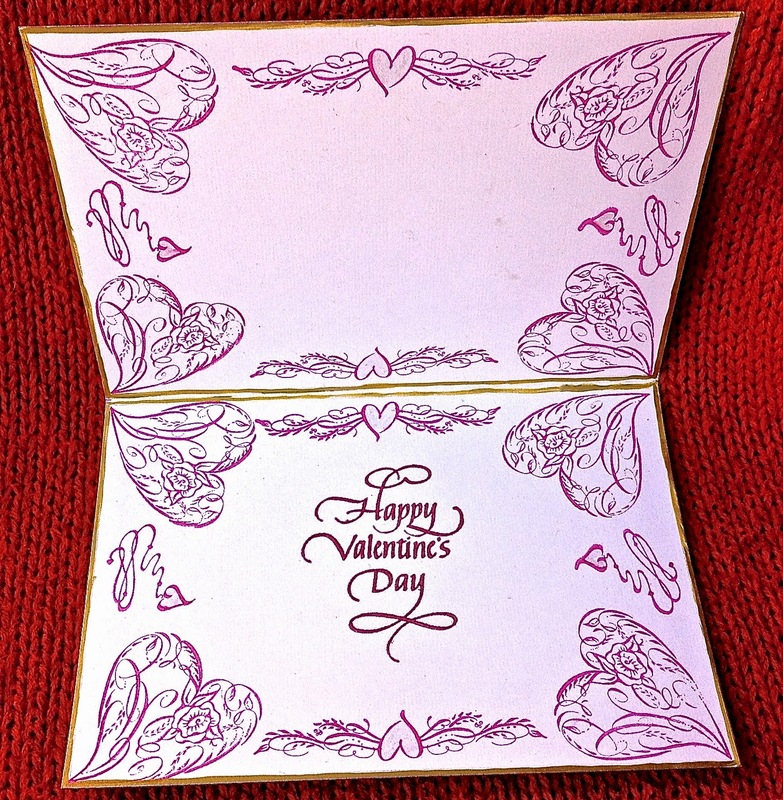 Michelle is first up with this wonderful heart card. Wouldn't you like to receive this? So adorable. Marsha Drain continues with lots of hearts. I'm in love the the two cards she's thrilled us with. I couldn't use just one today. 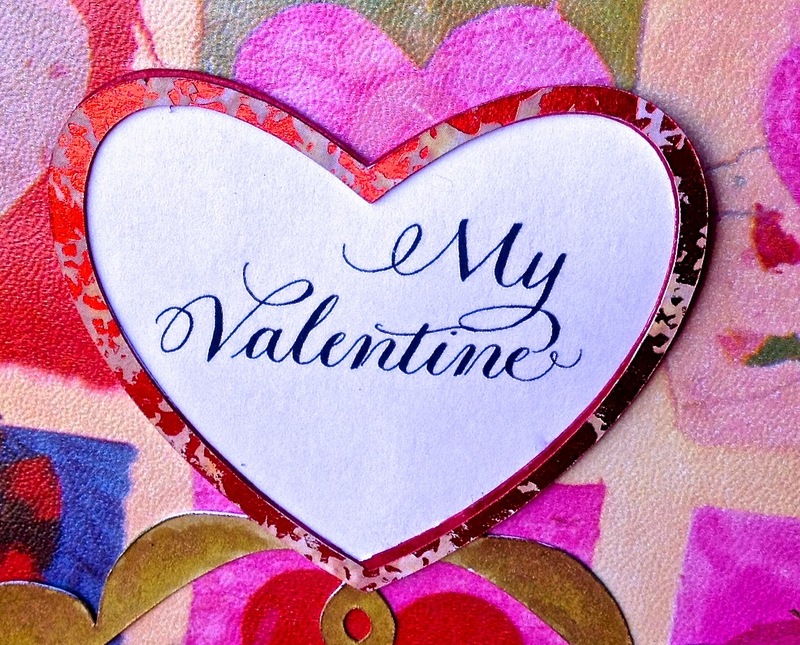 Here's a card that's got heart! I couldn't help this remark. 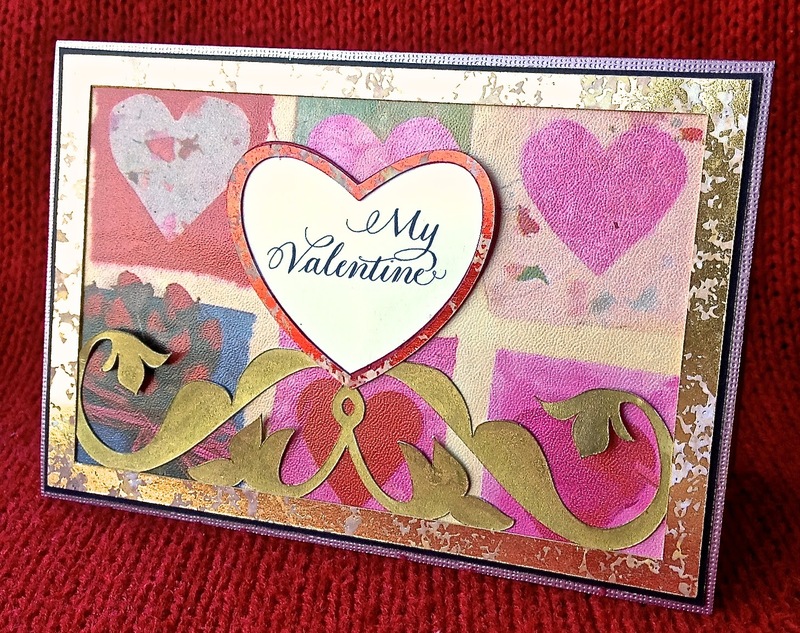 When I make this card again, I'll make the card longer, but it works and I sent it to my granddaughter. Some amazing guest artists just for YOU! Quietfire Design and their beautiful cards. 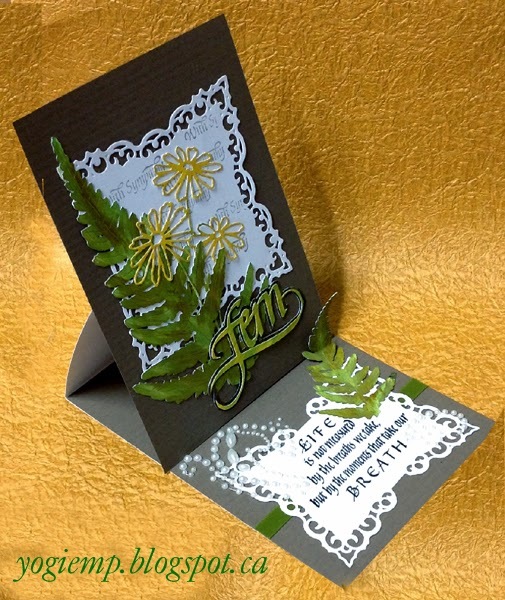 Welcome to Yogi Grunwald, part of Quitefire's design team with a gorgeous card. The flowers almost look embroidered upon a stylish handkerchief, don't they? This has that old fashioned love feel to it. 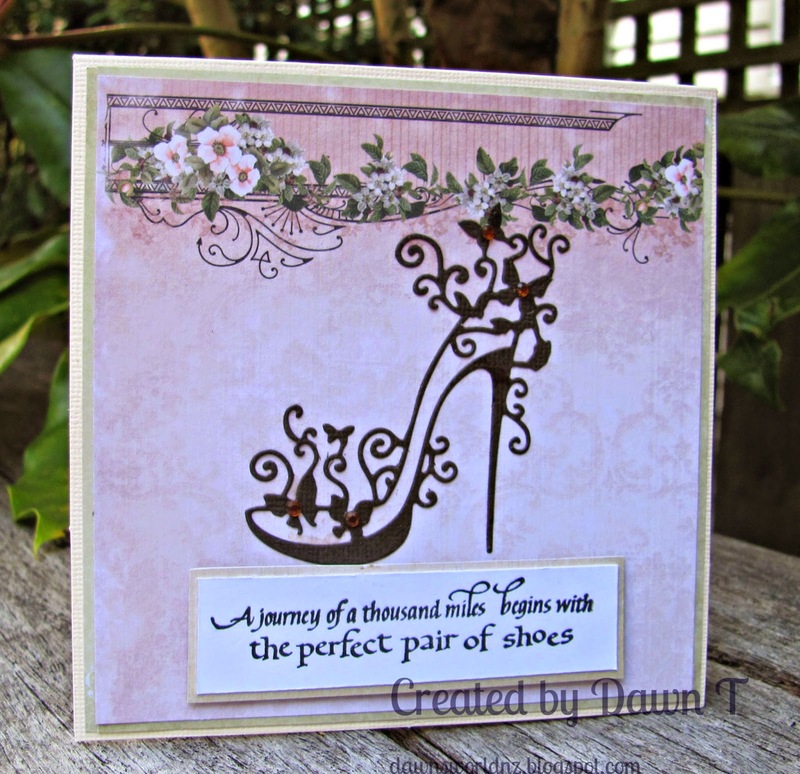 Wonderful easel card, beautifully done. What a fantastic card from Wanda Hentges, part of Quitefire's design team. I love the thump, thump, thump of her hearts beating a rhythm and the sentiment is just perfect. Be sure to visit Art by Wanda here. Perception + Focus = the difference between a good day and a bad day. 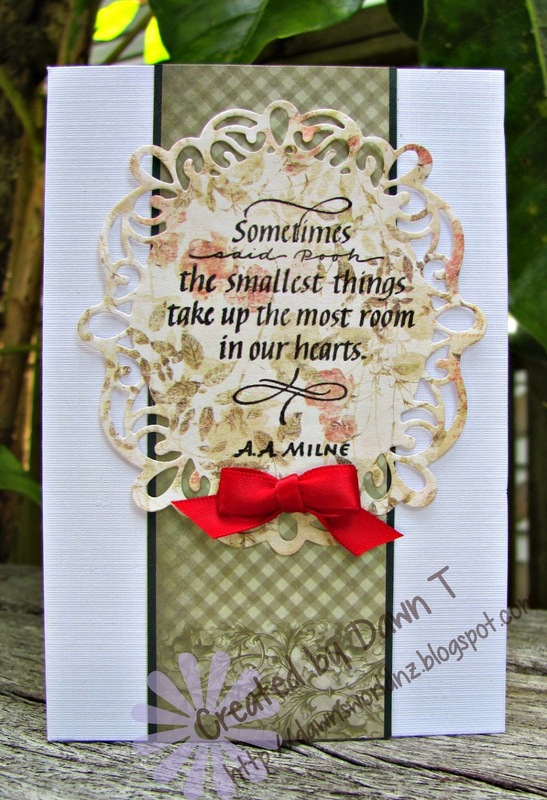 Next we have Robyn from Quietfire Design, this months sponsor for the Die Cut Diva’s challenge. Close-up and do you love the heart detail? Robyn says she got a little carried away with stamping on the inside! Visit Quietfire Creations for more details and lots of inspiration. I'm so glad that Suzanne Cannon could play with us today. 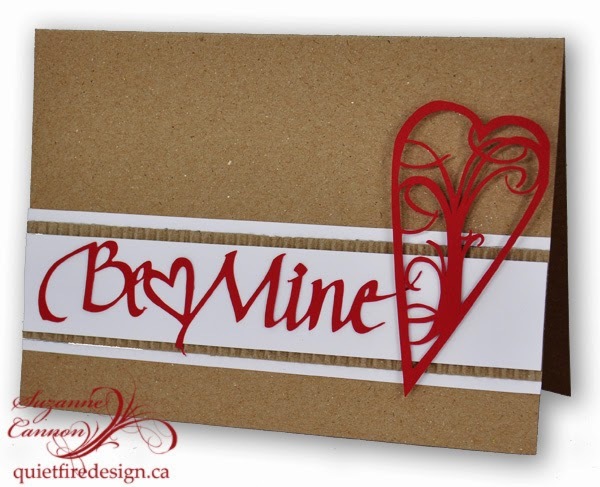 Did you know Suzanne designs new digital cutting files each week? 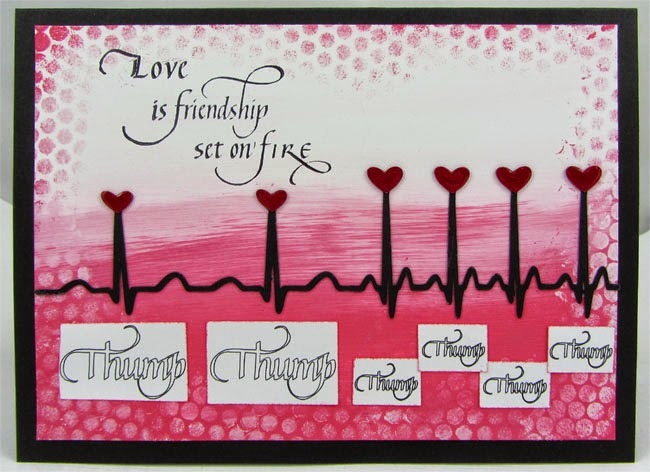 I love the unique and beautiful heart and message..
the Quietfire Cutting file Be Mine available in the Silhouette Design Store. Please visit Suzanne's personal blog! : Quietfire Style. I did and you won't be disappointed. Please leave some love for our guest artists this month. This little girl makes me want to dance and twirl. 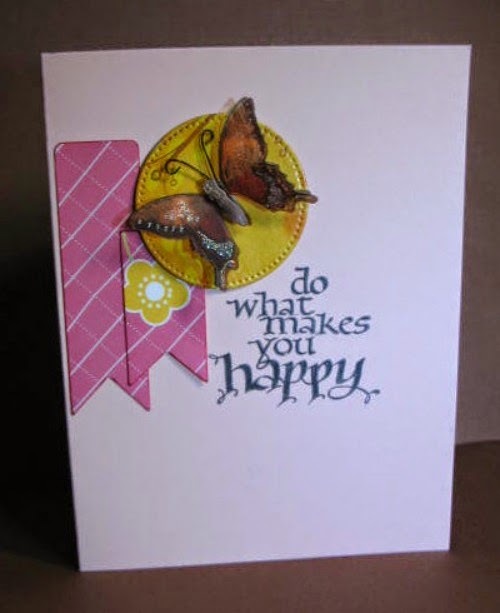 What a perfect sentiment for this lovely card. 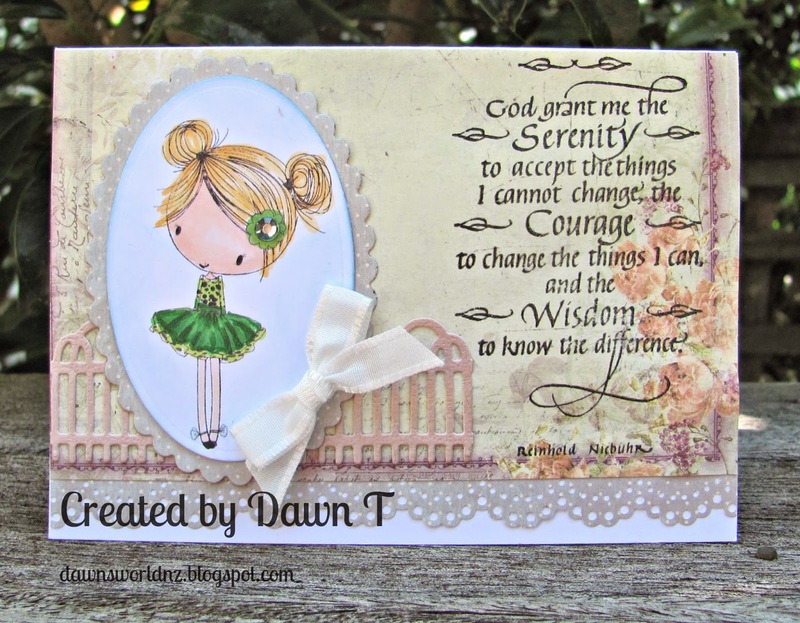 Spellbinders Grand Labels 1, Label 1, Art by Miran Petal Blossom. Visit House of Borowski for more on this cutie. Starting off today is our fabulous Michelle Nutter with a fantastic February card. 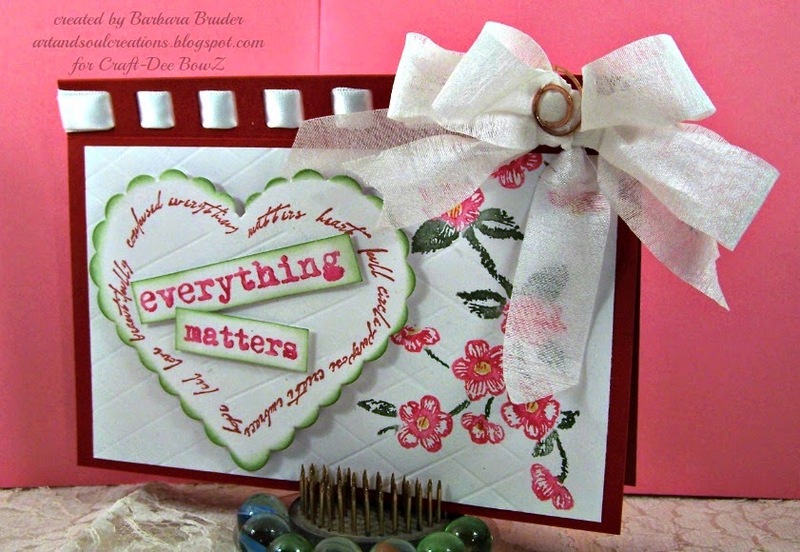 I love the red and white that one feels natural for our February cards. You'll find the red and white glamorous cards below.with beautiful elegance. Marsha Drain has me thinking hearts too. WOW, what a beauty. Don't you love the way Michelle and Marsha used this same Flourished Heart in different ways, one the positive and one the negative. Isn't this the most darling card! 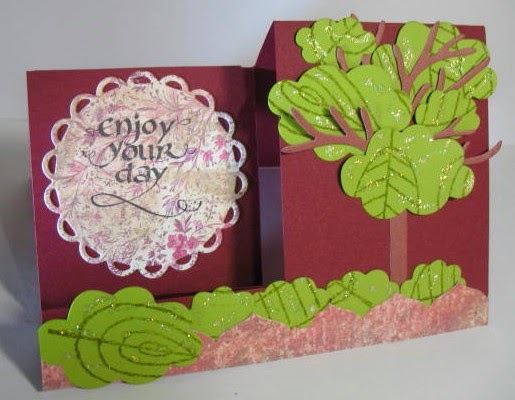 I love the colors and background patterned paper with the wonderful fence and bow. The little girl is darling, just so sweet. The color of the hair ties in with the colors of the flowers on the patterned paper. Did I say I liked it? The sentiment is from our wonderful sponsor this month, QuietFire. QuietFire God give me the Serenity . 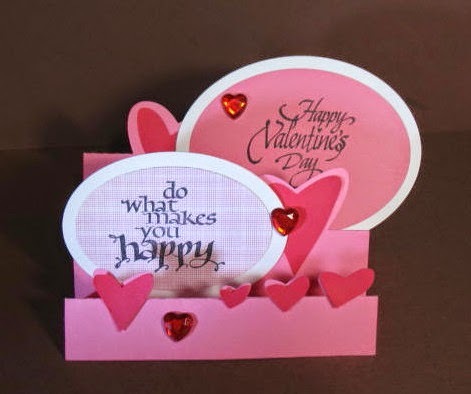 Obsession Expression fence die and Spellbinders oval and scallop oval dies. Be sure to visit Dawn's blog today. 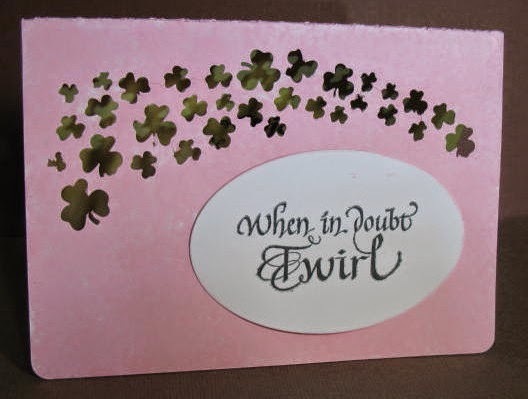 I love cutting all those little shamrocks on my Silhouette Cameo, now that I've finally started using it. You've got to visit QuietFire Designs so you can see all the wonderful quotes, rubber stamps and files Suzanne has waiting for you. :Look what Marsha did with hearts! Don't you love the XOXO? Beautifully done card. I'm eating my heart out, I just love it so. See more at Marsha's blog, Gramma's Room. 2 each of the following Peel-Offs (Crystal Flowers), (Seashells), (Lighthouses) and (Rubber Ducky). 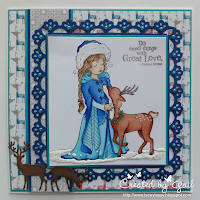 Arlene's choice from January 2015 is Gail from Lacy Lassy. There were 200 choices and it was a difficult pick to make. There were funny, sporty, elegant, winter, and all sorts of cards. I think this wintry image and coloring called to me this month. 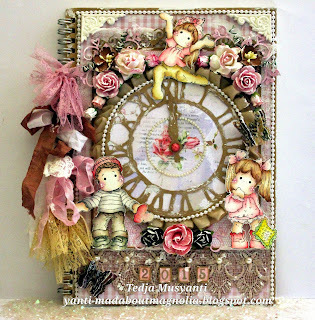 Cathie's choice from January 2015 is Wendy L from Spanish Crafter. I was drawn to the design feature of the accordion card and I love that pop of colour only in the middle. WORDS, QUOTES & SENTIMENTS JUST FOR YOU! The generous prize will be The prize will be $30 worth of stamps and .svg files. If the winner can’t use svg files, then the prize will be all stamps! 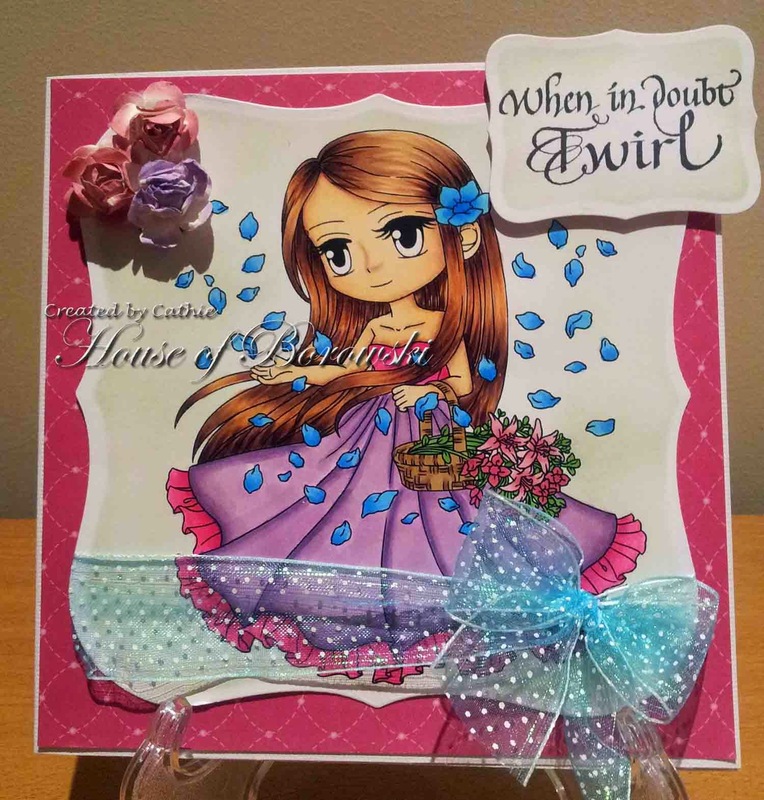 All cards/projects must be made using at least one die cut or embossing folder, using any die cut machine, this also includes the use of Cameos and Cricut machines. I love the card and its unique closure. I love the traditional look and style. I like two different colors on the heart closure. 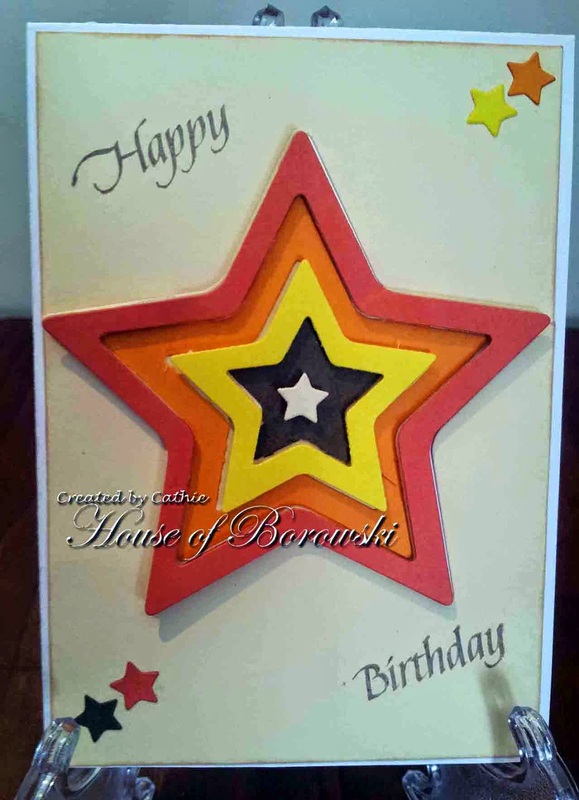 You can use this card for anyone; anyone can be the star Birthday boy or girl.